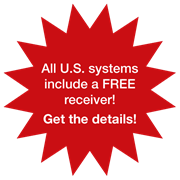 All U.S. systems include a FREE receiver! 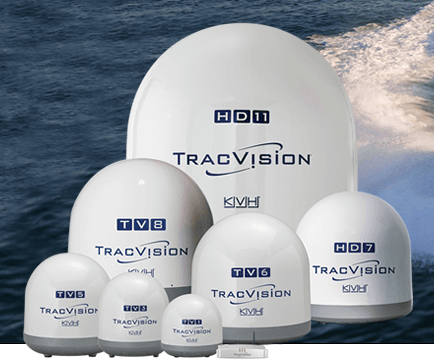 Whether you’re relaxing at anchor or cruising offshore in demanding sea conditions, KVH's powerful family of fully stabilized marine satellite antenna systems provides superior performance, including HDTV, for satellite TV entertainment. 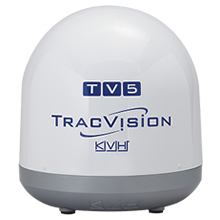 Our innovative TV-Hub provides ease of use for every TV-series system. Our HD-series systems ensure crystal-clear viewing in high definition. 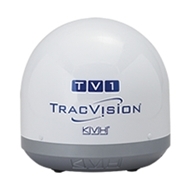 Enjoy the pleasure of your favorite television programming while relaxing on your boat or yacht with the newest systems from KVH – leader in marine satellite TV! 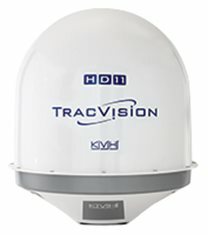 This 81 cm (32-inch) antenna provides high-performance tracking for superior offshore reception for yachts traveling offshore for extended cruising. DIRECTV HDTV at sea, just like home! 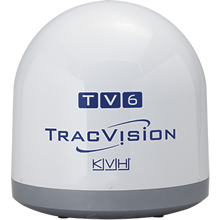 This rugged 60 cm (24-inch) antenna with exclusive TriAD technology receives broadcasts from all three DIRECTV satellites simultaneously for an at-home HD experience. 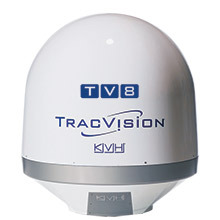 For boats and yachts 30+ ft. traveling in the U.S. and Latin America. 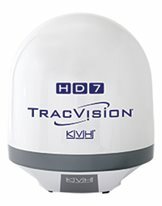 With the TracVision HD7, enjoy high-definition programming from DIRECTV. 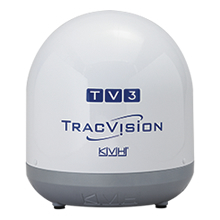 Cash Back when you upgrade your old TracVision to a new TracVision TV3 or TV5! Design Engineer, Westport Yachts L.L.C.